We are a small local team of product design and manufacturing engineers serving small businesses and start up companies wishing to turn their ideas into reality. With offices in Warwick (UK) and in Ningbo (China) we are well placed to offer tailored, responsive and very competitive solutions to our clients. ADKO – Product Design Services: We offer local industrial product design and prototyping services. Adko work in conjunction with other product design companies as well as our own in house design capability. Whether it is reverse engineering, productionizing a rough prototype, working on an idea or solving a need our engineers offer novel and innovative solutions to your requirements. ADKO – Low Cost Manufacturing: Specialists in sourcing and supply of low cost, precision manufactured components or fully assembled products from China for small and medium-sized UK businesses seeking to gain a competitive advantage in today’s increasingly demanding global market. Sourcing manufactured components from China successfully (ensuring timely delivery of high quality parts, right first time) demands a unique combination of in-depth technical knowledge and acute commercial awareness. Unlike many sourcing companies, Adko provides a complete hassle-free service, from pro-active design consultation at the outset of the process through to full project management right up until the point of delivery. 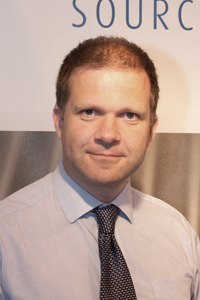 A Chartered Manufacturing Engineer, Matthew joined Rover Group in 1991, where he gained valuable experience in both Manufacturing Engineering and Production Management. 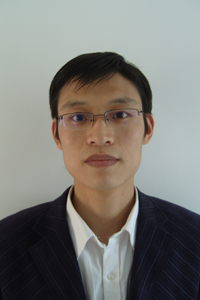 He made his first contacts with China when working as a Project Manager responsible for global sourcing. Subsequently, he gained further experience of Chinese sourcing when responsible for new product introduction at a leading automotive sub-contractor. This experience led to him identifying the need for a UK product sourcing agent who understands the automotive new product introduction process. From this the company expanded its services into product design and prototype services.